It is a possibility that pre-operative testing will be required on patients having general anesthesia, monitored anesthesia care (MAC) and regional anesthesia, such as an ankle block, IV block, or axillary block. The anesthesiologist may require pre-operative testing on any patient for medical reasons. Blood test, EKG and a chest x-ray may be required before surgery. If pre-operative testing is necessary, someone will call you to set up an appointment. Please allow half an hour for the pre-operative testing appointment. Pre-operative instructions for your surgery will be given at the same appointment. If you have any questions on pre-operative testing or One Medical Passport (Patient Online Registration), please call (309) 662-6120, option 2 or (800) 466-8275, option 2. 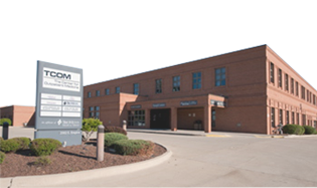 If no pre-operative testing is required, then TCOM will call you between 2 p.m. and 4 p.m. the day before the surgery to give you your pre-operative instructions and the time of your surgery. IF you do not hear from us please call TCOM at (309) 662-6120, press option 7 or (800) 466-8275, press option 7.